A former Fairfax County police officer was sentenced Friday to 12 months in prison for fatally shooting a man after responding to a domestic dispute. Adam Torres pleaded guilty earlier this year to involuntary manslaughter in the death of 46-year-old John Geer. Anne Geer, the victim's mother, was outraged at the sentence. "If I went out and shot somebody, I would never see the light of day," she said Friday. "One year in jail is insulting. It was murder. 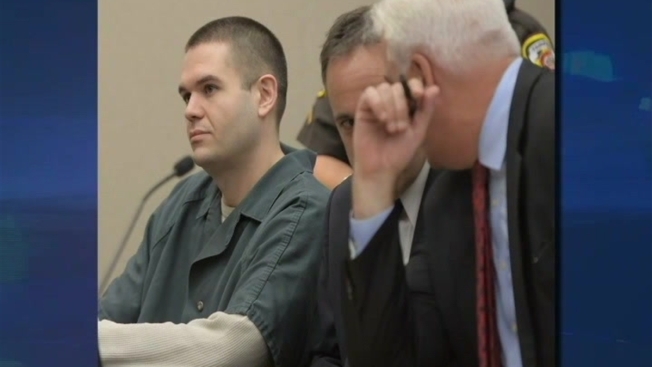 It was not involuntary manslaughter." 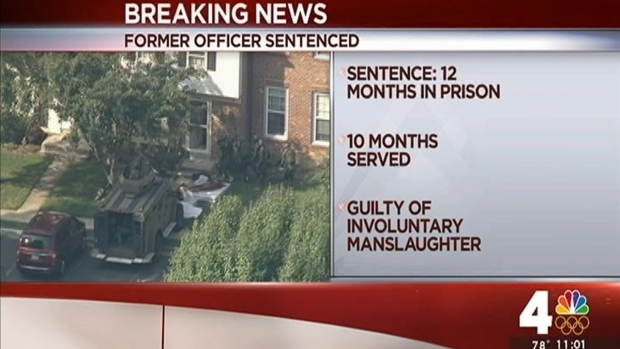 A former Fairfax County police officer convicted of involuntary manslaughter for fatally shooting a man after responding to a domestic dispute has been sentenced to 12 months in prison. Torres is the first officer to be convicted for an on-duty shooting in the 75-year history of the police force in Fairfax County. He shot and killed Geer, a Springfield resident, in August 2013 after a 40-minute standoff during which witnesses say Geer had his hands up. Prosecutors say Torres was angry over the breakup of his marriage and unfit for duty after fighting with his wife the day of the shooting. "I mean, he was standing here with his hands up, here," said Anne Geer. "He had been that way for 40 minutes." Torres said he thought Geer was dropping his hands and might be reaching for a nearby handgun. But he accepted a plea deal earlier this year that took a second-degree murder charge off the table. The deal had called for a year in jail. Torres has already served more than 10 months in prison and will be credited with the time he's served, so he'll likely be free in the next few weeks. Prosecutor Ray Morrogh defended the plea deal, saying that Geer's partner said she was worried about the couple's oldest daughter having to testify. "It would have been a pretty raw trial and it would have been pretty hard on those children so I guess I would say I put them ahead of Anne Geer's opinion," Morrogh said. "I struggled with it in my conscience. I hope I did the right thing; I think I did." Torres did not speak in court Friday but apologized for his actions at the previous hearing. His lawyer said his goal in the plea deal was to return to his family; his wife gave birth to their third child in April. Torres' wife had just a brief statement, saying, "I love my husband. He missed the birth of his son." Fairfax Co. Considers 142 Changes for Police Dept. My name is Anne Geer. I am John Bennett Geer's mother. John's father and I have waited 2 years and 10 months for our son's murderer to be brought to justice. While standing, unarmed, with hands in the air, having committed no crime whatsoever, John was executed by a police officer sworn to uphold our laws and protect us from harm. Adam Torres repeatedly bragged that "it was not accidental; no, it was justified. I have no doubt about that. I don't feel sorry for shooting the guy at all. I would do it again..."
Politically downgrading the Special Grand Jury's 2nd degree murder indictment to felony involuntary manslaughter with 1 year in jail completely negates the intent to kill as expressed by Torres himself. A smart judge once said you do not sentence the defendant, you sentence the crime. It is insulting to suggest that the crime of murder is only worth one year in a protected jail cell. Torres would spend only an additional few months in jail. John will spend forever in his grave. This is NOT justice for John. Citing our pledge -- with liberty and justice for all, I ask: WHERE IS THE JUSTICE FOR JOHN? WHERE?